Since being 'rediscovered' at the first Rencontres Africaines de la Photographie in Bamako in 1994, respect for Malick Sidibé's (1936-2016) photographic biography has grown steadily in both the Western art world, as well as among a young generation of African photographers. His photographs are popular because they depict Africa at a time of awakening and hope. Apart from his vitality, sensitivity and humour, his photograph's are valued not only for their visual innovativeness and originality, but also for their delicate balance of imperceptible forces: these include the space that the photographer affords his models to the ends of self-expression, and the scope that opens up under his direction - ultimately the gift of every good portraitist. 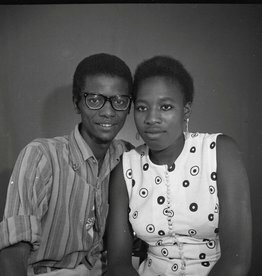 Malick Sidibé was born in 1935 in Soloba, near Bamako (Mali). He was the only child in the family to be sent to Bamako to study at the Ecole des Artisans Soudanais. Gérard Guillat, a French photographer living in Mali, took Malick on as an assistant. 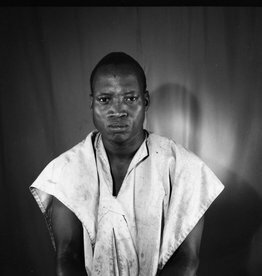 From Guillat, Sidibé was able to learn the basic skills of photography. He earned his living by taking photos at parties given by the young people of Bamako’s middle classes. 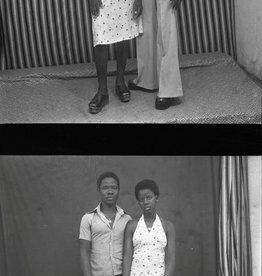 When Sidibé set up for himself in 1962 he soon became a popular photographer at parties and events in Bamako: from football games, weddings and baptisms to dance festivities and Christmas celebrations. Especially remarkable are the photos he took at the so-called surprise parties organised by the young Malinese themselves. 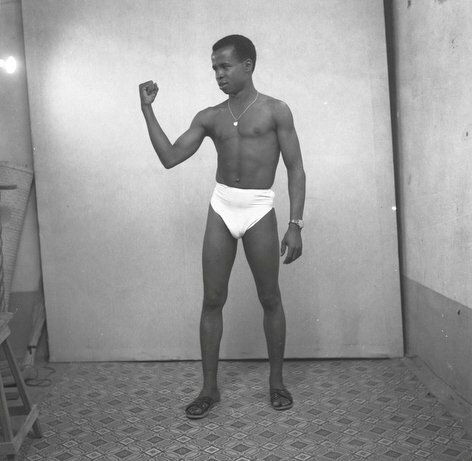 Sidibé covered as many as five events a night before retreating to his darkroom to develop the negatives. He would then paste prints of the photos onto cards and display these so the partygoers would be able to view and select the ones they wanted. In the mid-1970s, Sidibé moved into a new area of work, confining himself to studio portraiture and the repair of cameras. 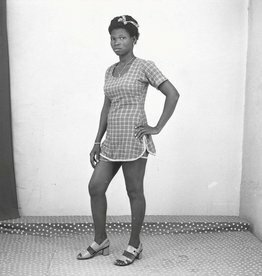 Malick Sidibé was awarded the International Prize of the Hasselblad Foundation in 2003 and a Golden Lion for Lifetime Achievement at the 52nd Venice Biennale Contemporary Art Exhibition in 2007. Sidibé's work is held in the collections of The Contemporary African Art Collection (CAAC), the J. Paul Getty Museum in Los Angeles, and the Museum of Modern Art in New York.